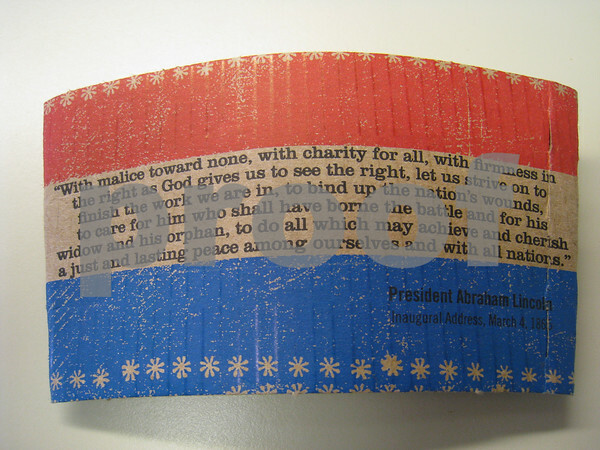 Thought that I should pay homage to President Barack H. Obama by offering up a quote from President Abraham Lincoln at his inaugural address in 1865. Oh, and I guess I am also showing my love for Starbucks as this quote was on the java jacket of my morning Caramel Macchiato. Yum!! !